The RHA CL1 was provided to me as a sample in return for organising and running the UK leg of the of the worldwide launch tour of the CL1, CL750, and DACAMP L1. I started interacting with the folks at RHA in March 2015 at the Cambridge local HeadFi meet. Their man at the time, Iain (since moved on to the craft beer industry), had brought a prototype of the T20i to the meet to demo and get feedback. Comments from me and some other folks helped tame a prickly sharp treble peak a bit. So if you think the T20i is bright, it was going to be brighter. As we will see, brilliant bright treble is a component of the RHA signature. Since that initial meeting I’ve reviewed the s500i and the MA750 as well as the DACAMP L1. I think I have a good idea what RHA is trying to accomplish and know that they aren’t trying to sound or look like anyone else, they’ve got their own signature. They’ve got their own look. 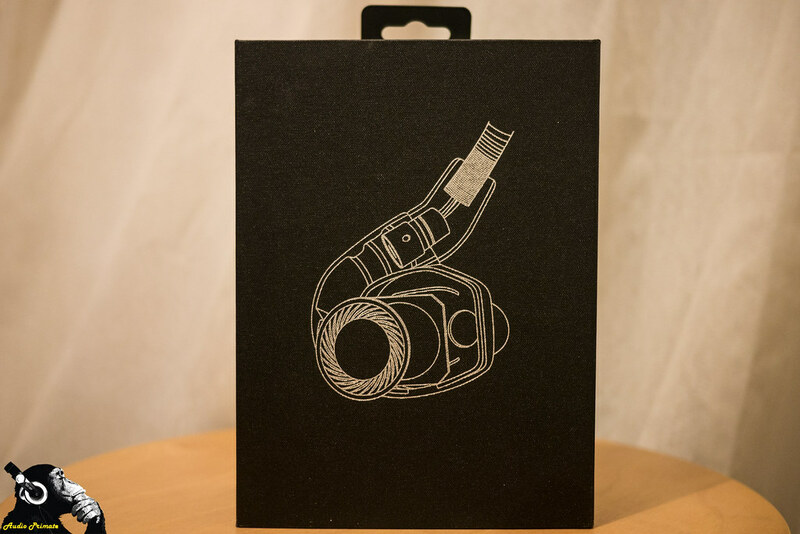 The RHA CL1 comes in a medium sized box with a card sleeve with glossy images and a matte black background. It is emphasized and understated with images and text clearly explaining what you are getting and what to expect. Text and pictures tell all the box contents and the material make-up of the IEMs. A frequency chart leaves little surprise on what these sound like when properly driven. RHA isn’t hiding anything here. RHA also specifically tells us that the CL1 is for use with amplifiers on the box, so don’t try and play stupid when your phone fails to drive it adequately. The feature image on the back of the box is the inside of the IEM exploded out. I love these images. I love these images so much that on the Mee Pinnacle P1 review I went into the source code of the page to pull out the image because right clicking and viewing in another tab wasn’t possible—I was determined to have that image in my review. Here is RHA’s version (obtained from the source code, too). When we remove the outer card sleeve, inside is a black textured box with an awesome screen printed image of the inside of the IEM. 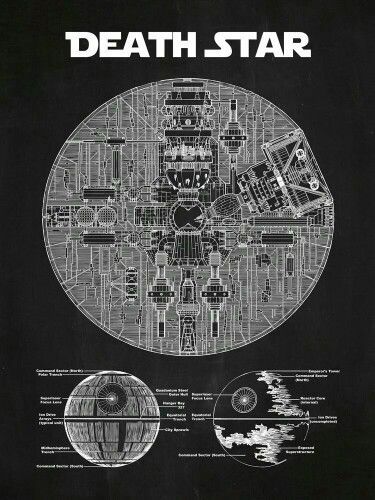 It reminds me of screen prints I’ve seen of a Death Star schematic. Inside the box we are first presented with the IEMs perched in a foam top-plate. Nice greeting. On the flap that you just opened is a picture book with some advertising type text about the purchase you’ve just made. Still selling it, even after you’ve already bought it. Behind the foam top-plate we find the compartment with all the gubbins. Everything inside is tastefully presented and neatly put together. The headphone case has it’s own slot. There is a large multi-language manual with further information on the CL1. Behind the manual there are two cables wrapped in card with RHA’s slogan: Sound Engineered—great slogan. There are some weird slogans in HeadFi, I’m glad RHA doesn’t own one of them. Next to these cables is the 3.5mm to 6.3mm adaptor—it is of the screw on variety, which makes it specific to the CL series, unfortunately. The build quality is stellar. The shell is solid, lightweight, and fits easily and comfortably in the ear. Both cables have an innovative segmented memory coil on the upper part of the cable that allows precise fitting to the ear without the obtrusive feel of memory wire. The cables are made with 4-wires in a double twist configuration—it is not a friggin’ braid, I’m so tired of companies saying this because it sounds cooler. They have a silicone outer sleeving that is soft on the ear and supremely flexible. The cables are big, but they are not obtrusive and are very comfortable. The terminations are of a fine and solid quality. These are simply the best cables that I’ve had come as stock cables on any headphone. There will likely be ones that beat these cables in the future, but for now, this is the best I’ve seen. The cables are terminated with MMCX connectors that have been modified by RHA. Whilst RHA has made the design available, it is highly unlikely that you’ll find custom cable manufacturers using the specialised MMCX cables that RHA uses. It is one of the banes of innovators. When there is an established standard, even if it is worse construction than your modification, the standard will remain and your modification will be niche. Cest la vie. 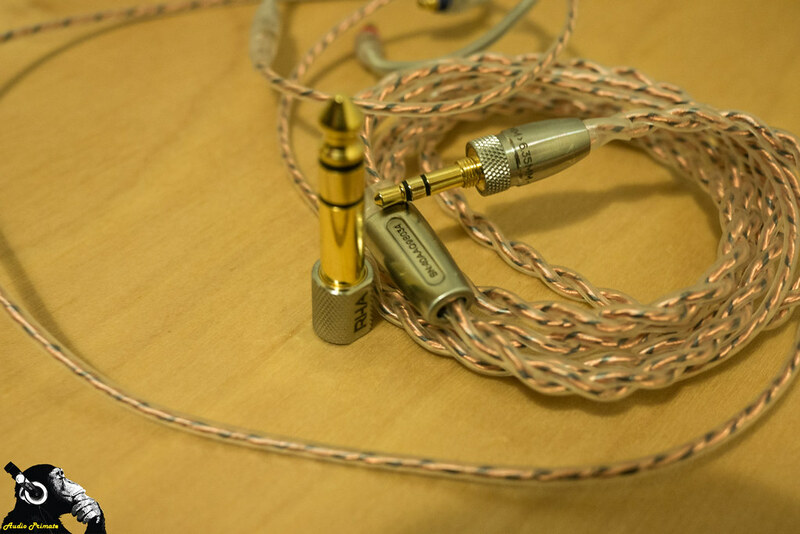 The RHA CL1 comes with the aforementioned cables, the case, and a stainless steel sheet for storing all your IEM tips. Whilst this sheet looks attractive, I’ve always found it rather useless. A plastic baggies serves the purpose just as well. A smaller case to hold a few pairs of tips would serve a better purpose. It is unlikely that most users will switch between more than three pairs of tips. The Tsx-200 tips saved my bacon on the Effect Audio Arthur review, so whilst I didn’t use them for the RHA reviews—I prefer their silicone tips—I did use them with the Arthur and they were were excellent in reigning in that massive shell. The included case looks understated and nice, but it is isn’t deep enough and the rectangular shape is not optimal for coiling the cable. I find that when I put the headphones and the cable in the case I have to fight the shape of the case to get it in. It bulges. RHA should have made a case shape that was specific to the CL series. The bulk of the cables makes the case awkward for the CL series. Don’t even think about putting the tip organiser in loaded with tips. I tried the CL1 with the following DAPs and DAC/amps: RHA DACAMP L1, Aune M1s, TheBit Opus #3, Echobox Explorer, HiFiMAN SuperMini, Shanling M2s, and the FiiO X5iii. Only the FiiO X5iii didn’t have the guts to drive the CL1. So any claims that you need the DACAMP L1 pairing to have the CL1 sound properly driven or paired are simply not true. The DACAMP L1 is its best pairing, but there are many options that sound almost as good. The sound of the RHA CL1 is source dependent. The general signature is v-shaped with the treble being the star of the show. The treble is extended and crystalline in clarity. If underpowered the mids are very sucked out and the bass doesn’t make a full showing. On the frequency response chart for the headphones, we can see that there is a dip around 2k. I think this dip is accentuated when they are not driven sufficiently. I also think that this dip is mitigated by a lot of DAPs and DACs, including the DACAMP L1, because many have a small lift in this part of the mids. I observed this mitigation in the Aune M1s, the DACAMP L1 and the Opus #3, but it was best mitigated by the DACAMP L1. There has been a good deal of discussion about how much better the silver balanced cable sounds compared to the copper cable. I found that it doesn’t sound perceptibly better than the copper cable. I had adaptors made to play the silver cable out of 3.5mm single-ended outputs, 2.5mm balanced outputs, and 3.5mm balanced outputs. In volume-matched comparisons I could detect no difference between the sound of the silver and copper cables in single-ended mode. Any differences that people are hearing are unlikely to be attributed to the cable and more likely to be due to differences in amplification that the cables are hooked to. The CL1 bass is uneven depending on source material and source. On Max Richter – Dream 1 (before the wind blow it all away) in 24/96 the CL1 calls forth all the power, rumble and extension that the bass notes of the song can muster, which is a considerable amount in all dimensions. With TheBit’s Opus #3, the bass is chooglin, a bit heavy and thick—this is due to the character of the Opus #3, which has a bit enhanced midbass. The combination of two emphasized sounding bass lines becomes a bit too bloomy for me. 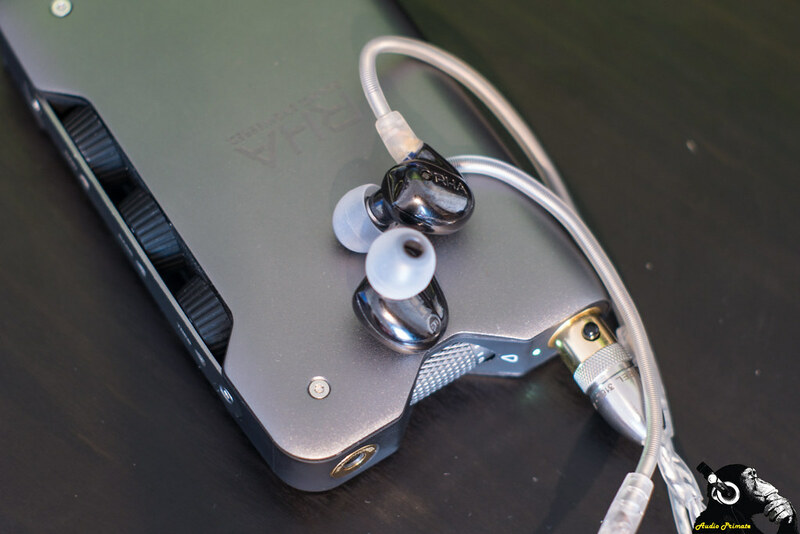 With the Aune M1s the bass still has a thick character, but isn’t bloomy. The DACAMP L1 had a similar presentation to the M1s. Overall bass representation is warm and weighty. On songs with forward mids like Damien Rice – The Animals Were Gone, or DACs and DAPs with forward mids the CL1 does well. The RHA DACAMP L1 has forward mids, in this vein and is probably the best pairing for the CL1, but not just for the mids—more on that later. When listening to Fleetwood Mac – Dreams there is good separation between the refrain vocalists, but there is also a bit of a veil compared to some other tracks. On many tracks mids detail suffers from general recession and veiling. 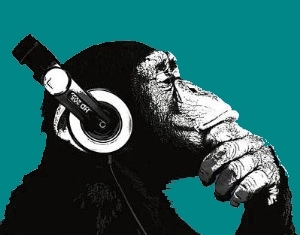 For example, in Pixies – Where is My Mind the subtle background vocals are almost lost. When listening to Hotel California with the Aune M1s or the Opus #3 as the source (as much or more power than the DACAMP L1), the bass and mids sound sucked out. The airplane flying overhead is almost completely buried in the stage—it isn’t how this song should sound at all. These are not for songs with vocals that are staged normally. On Michael Jackson – Billie Jean, he’s back deep in the stage—he should be directly in the middle on this vinyl rip—and percussion instruments are pushed in your face and over-aggressive. The mids just aren’t right. For some folks the highs are too strident, I would call these folks treble sensitive at the low end and treble-phobes at the high end. For folks in the latter category, the DACAMP L1 is not going to be for them. To my ear, the CL1 does not have strident treble, but it does have excellent extension. It does an nice job with violins and is honest about their potential for cacophony, but sometimes misses the fullness of lower violin notes. Music is not all euphonic sounds and to reject the sometimes harsh violin or hard cymbal smash is to only accept part of music as it is played. I tested the CL1 with my standard torture test for treble, Kraftwerk – Komettenmelodie2. It sounds as it should, piercing, but not ear-shattering. One negative side effect of certain parts of the treble emphasis is that it amplifies recording noise. On vinyl rips, the vinyl is always apparent. On Father John Misty – Nancy From Now On there is some amplified static to start the track. The CL1 doesn’t just reveal these details, it accentuates them, which may not be to the liking of some. Notably, Father John Misty albums generally have forward mids, so actually sound a bit more balanced coming out of the CL1. The treble of the CL1 is revealing and has excellent detail, but from time to time will make good recordings like Rebecca Pidgeon – Spanish Harlem sound very staticky in silent portions. With the exception of the amplification of static, I found the treble presentation of the CL1 exceptional. But for those folks who don’t dig the treble representation or just want to create a more balanced sound out of the box, the DACAMP L1 is really made for these IEMs. If you think the bass is too heavy, you have a knob to adjust that. If you think the treble is too strident, turn it down. When making these adjustments there isn’t really any loss, but it doesn’t bring back what is lost in the mids. RHA sells the DACAMP L1 and the CL1 as a pair, and they are an excellent match. If you want to see more about the DACAMP L1, you can see my review here. On soundstage the RHA has more height and width than depth. It has limited depth, in fact, but the recessed mids make it sound as if there is more depth. The stage height is of noteworthy impressiveness. The width gets just outside the edge of my ears, just barely. There is good separation between instruments and outside of misplaced mids due to the frequency response, instrument placement is good. I don’t have any headphones that are within $100 of the CL1 in cost, so there weren’t natural comparators. In a later review I will compare these to the CL750 (which I actually prefer). I made one comparison of these to the UERR in a previous review, and they lost, badly. It wasn’t a competition. Now I’ll grant that it isn’t normally the expectation that a $450 headphone will beat a $1000 headphone, I think there are plenty of headphones that will compete a bit more. Recessed mids led to off-kilter presentation with my reference jazz track, Charles Mingus – Fables of Faubus. Cymbals were too forward on the track. The soundstage was not as realistically presented on the CL1 as on the UERR. The UERR had more realistic instrument height placement. Violins had better representation of the upper half of their notes (better treble than mids), UERR was more organic. Hotel California had badly recessed mids with veiled details and incorrect presentation. The CL1 is a brilliant treble performer with weighty satisfying bass and mids that are often okay but far too frequently wrong and veiled. 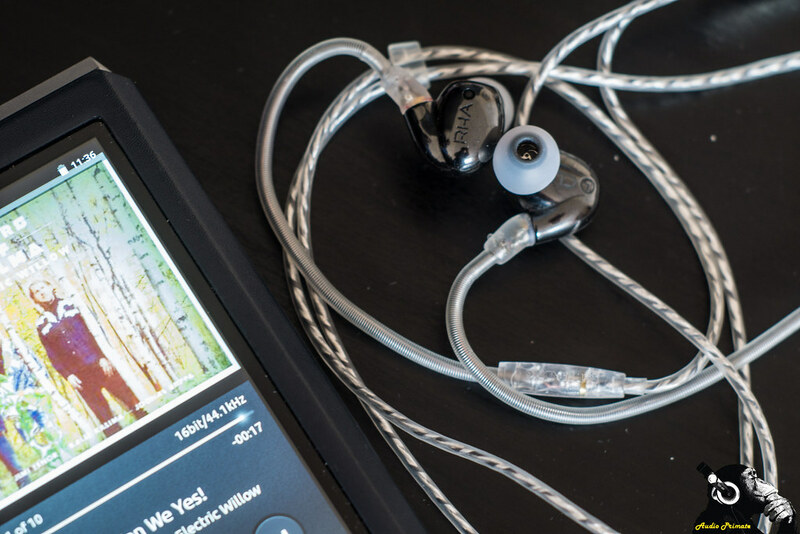 They play well out of a variety of sources, but they play best out of the DACAMP L1. I suppose if you are an EDM listener that is all about bass and treble these will be perfect for you, but for me, I like my mids present. I don’t like details being relegated to the background. I don’t like backing vocals sounding like a gauze screen has been thrown in front of them. I don’t like turning on a track with a great vocal and hoping that it isn’t hiding deep behind other instruments. For these reasons, I have to knock the sound quality rating on these down, a lot. On tracks where the mids aren’t hugely important these are extraordinarily clear with excellent detail retrieval. The drivers are obviously capable, the tuning is just completely wrong for me in a way that reduces technical performance. When I spent lots of time with them, I got used to the sound, but as soon as I switch to a more balanced tuned IEM, these go back in their case quickly. The build quality is excellent as are the service and the company, but the tragedy of the mids on a lot of tracks that I like just loses me.